This is one of the coolest Martial Arts Schools Ever! You can not go wrong with signing up here Today! This is the number one Martial arts Studio in Winston Salem!!! I Highly Recommend Superior Martial Arts!! What an awesome place! The Superior Martial Arts staff is there to motivate and challenge your family to be their best!! This should be your first and only stop when looking for a place to train! My daughter joined Superior Martial Arts in July and it was the one of the best decisions that we have made in regards to her extra curricular activities. Not only has she gained confidence she has learned so much technically. She loves it!!! The owner (Mr. Marsal) and the all of the staff are great with the kids, very friendly and professional and it is a pleasure to be part of the Superior family... I also do Warrior X-fit and I'm in the best shape I have ever been in... I can't say enough great things about Superior! Wonderful school with a wonderful staff! They have helped my sons and me tremendously. Superior Martial Arts will always hold a special place in my family's heart as the care and attention provided by the owner and instructors have enabled my 6-year-old son to overcome much of his paralyzing shyness. He was so afraid of trying the Tiny Tigers class that he refused to participate initially. Mr. Nunez and Mr. Marsal never shamed him, they continued to encourage him and assure him that he could do it. My son has since moved up to the beginner's class and he loves attending even though he is often the youngest and/or least experienced. The confidence he has gained at Superior has transferred to all other facets of his life. He is excelling in school and is less afraid to try new things. Superior also offers kickboxing/exercise classes at similar times so I can get some exercise while my son takes a class. Miss Johnson makes the class fly by and my massage therapist noted that my muscles are much less tight than usual. I attribute this to Miss Johnson's class. I suppose you can say that I'm extremely satisfied and would encourage both children and adults to give Superior a try! Great support, encouragement, motivation, and energy at Superior Martial Arts! All around awesome place! As a fourth-degree black belt who has spent many years involved with multiple martial arts programs, I have to say that my experience with Superior has been exceptional. One of the aspects that sets this school apart, besides the great instructional staff, is the diversity of programs it offers. The school's Taekwondo program is fantastic and well suited for all ages, as is to be expected, but where it also excels is in the quality of its X-Fit fitness program and Krav Maga, both of which are great for those seeking a solid workout oriented around practical applications of self defense. This is a fantastic school, one which I highly recommend for anybody. I've been taking Krav Maga for about three months and I love it. The instructors are excellent - they test me and push me, but are also kind and supportive. We have a ton of fun in class, too. I recommend Superior most highly! Phoenix was just 5 years old when he first arrived at Superior Martial Arts. He has grown up so much from the shy boy he was two years ago, and is now in the leadership program. This is do to the hard work and personal attention that everyone at the school put into his development. You are not just a number, but treated as a person! We love this school and will be forever grateful for what they have meant to Phoenix and his growth. Great school and team of instructors. Always providing students with the best training. Highly recommend this school! I have been taking classes here since June. We searched several schools out before joining and this is by far the BEST. We drive 45-55ish minutes just to take classes here twice a week and its worth every mile driven.The staff is super friendly, we are always greeted with a handshake and a smile. They really go above and beyond here to help you feel welcome and to help you succeed. Passionate instruction that focuses on teaching so much more than martial arts! They teach real life, practical street defense coupled with Lifeskills like Respect and Confidence! This school is the best. The instuctors are so personal with you and your children. They learn their names quickly and take the time to find out who they are. They work as a class, but manage to individually push your child ahead in the areas they need help with. My son has learned so much both physically but also mentally while attending this past year! I tell everyone about this program and would recommend this program 100 times over. Superb ATA Martial Arts School! Chief instructor, Mr. Cook is very knowledgeable and passionate about teaching Taekwondo and Krav Maga. He serves as a wonderful role model for his students, and strives to push the students to do their best in class, at home, and out in the world. Owner/operator/instructor, Mr. Marsal is also very knowledgeable and interactive with the students of the school. He strives to make the students and student's families feel as though they are a large family through providing opportunities for social interaction beyond the classes. Program Director (and student), Mr. Nuñez is always welcoming and smiling, and goes above-and-beyond to make sure that the students are doing their best and that the instructors are well-supported while working with the students. Check this school out! They have gone above and beyond! Taking time one on one with my son, so he can perfect his technique. Also, installing in him to be self-confident and to never give up. A great place to be a part of! Staff goes out of their way to greet everyone personally every class & make them feel welcome. They do a great job of making classes fun, while still teaching martial arts, as well as life skills. Great place for the whole family! My son loves this place! Excellent instruction, professional facility, and great customer service! Couldn't ask for more in a martial arts school. Wonderful place for the entire family. In summary, we have experienced seminars for bully prevention, leadership skills, public speaking & etiquette, fitness, self-esteem, goal setting, parent's night out, self defense, tournaments & community support. This place has great things yet to come! I highly recommend. Both of my sons started last year when this group of guys walked through the car rider line at their school passing out flyers. We were hooked! They care about what they are doing and work well with the children. We have all enjoyed the challenge and are advancing through the ranks. Thanks for all of your help! We look forward to achieving our black belts one day. Thank you Mr. Marsa, Mr. Cook, and Mr. Nunez. This has been a great experience for both my children. Not only are they learning martial arts, but also positive attitudes, learning to control temper, strenght training and teamwork and support. The instructors hold the children accountable for their behavior inside and outside of school. Highly recommended !! Is a great school I recommend. If you want your children to learn good self-defense. Best investment of my life. Not only is the instruction world class, the students and their families have made a stellar martial arts community in Winston Salem. I had an exceptional time today at Tiny Tigers and black belt club practice!!! I love to see the SUPERIOR intensity and courage our kids learn to show while practicing! Thank you guys sooo much! This school has taught my quiet & shy 8 year old to be more confident, and continues to teach both of my boys discipline and respect, as well as how to protect themselves! Becoming our 2nd family! Amazing experience Thank you for sharing your space with us! Great people with experience and awesome training. We love it! Our whole family has joined and we couldn't be more pleased with the instruction. Thanks to Mr. Cook, Mr. Marsal, and Mr. Nunez!! Great place and instructors. Tons of fun, practical knowledge and how to apply what you learn. Had an exceptionally great time participating in kick boxing & krav maga. A truely great place to learn how to properly defend youself. Will definitely be going again! It is the most comfortable environment I have ever had a chance to work in! A no-judgment zone with positive support, feedback, and knowledge! Good school, great instructors. Good schedule for most busy lives. Great instructors, great location and great programs for kids and adults! The name says it all. Incredibly talented and skilled instructors. Highly recommended. The team is amazing, the atmosphere is welcoming, and the classes are a lot of fun! Fabulous establishment! Both of my boys and husband go there and LOVE IT! Awesome staff!!! So glad my son is apart of such a great team!!!! My boys have been attending for about seven months now. In that time, I've seen a huge increase in their level of confidence and in their leadership abilities. Mr. Marsal (the owner) is very actively involved. He's done a very good job of hiring staff that is excited and enthusiastic about instruction. One of the best, initial positives for Superior is the no-contract model. Most other studios in town require a one-year commitment. I hate this business model, since it is a decision that could cost you hundreds of dollars (if one of your kids doesn't want to continue). This is an awesome place to train.. All of the instructors are kind and very professional. They have great knowledge and skills on what they teach each and every one of us. They are willing to give extra attention to someone as it is needed. All of the students are great to be around and willing to help as well. I enjoy going to class to learn new stuff. Keep up the good work!! The staff is very knowledgeable and friendly. I'm am currently taking the Krav Maga program. I learned more self defense in this class in a month than I did in a year of jiu jitsu. In every class the instructors put on a "stress drill" so that you can make sure you can preform the technique under stress like you would need to do in a real life situation. I have beeen a student at Superior Martial Arts taking Krav Maga classes for over a year. I have learned to have more confidence in myself and have become better equipped to "do something" in potentially dangerous situations. The instructors at Superior are awesome, very professional and patient with everyone. I enjoy interacting with the students at Supeior, all ages. This is truly a family environment. I am a "senior citizen", yet continue to learn so much. Krav Maga is a great fitness workout and also has taught me to become much more aware of my surroundings with the self-defense training taught at Superior. My son is shy and was intimidated by not knowing the moves and all the yelling (Ayia!) Mr. Nunez took it upon himself to do 3 private lessons with him to get him comfortable and 2 more during the class to get him comfortable with the group. It was above and beyond what I expected anyone to do to get someone comfortable with a program. Now he can't get enough of it and we try to make it to every class we can. the classes move quickly with good discipline and the kids have fun. The kids also break boards right away. THEY GET TO BREAK BOARDS, WHAT'S BETTER THAN THAT!. Everyone there is awesome, we love the place. I started my son a month ago and he really enjoys the classes! I can already see improvement in his form and technique in class, as well as a real excitement to continue to learn more. As a parent, I love the entire scope of the program which focuses on the entire development of good character in my child and not just in his fighting skills. The program encourages home and school improvement and discipline as well as fitness and discipline through martial arts. All the instructors are very friendly and learn your child's name quickly. They are ready to help you and answer any questions you may have at any time. I highly recommend this program for any family or child! I join Superior Martial Arts for their Krav Maga program without any prior martial arts experience. From the moment I walked in the door the staff welcomed me while heartedly and with incredible enthusiasm. Not only was the staff friendly but also the other students immediately welcomed me in despite my inexperience in the disipline. Two months later I can say that the staff and other students still welcome me in and shake my hand as I leave after every class. In the short time I have been attending Krav Maga I have learned quickly and gained enormous amounts of knowledge thanks to the very competent instructors who sincerely care about your comprehension of the subject matter. Superior Martial Arts is the perfect place whether you are a beginner or have been taking martial arts for years. The atmosphere is highly supportive and encouraging, the staff are extremely sincere and friendly, and the other students truly make you feel as a part of the family. Superior Martial Arts really does provide a superior experience. An awesome place to train Taekwondo for kids and adults. My girls love training there and the instructors are the best. This school is very family oriented and we never feel like we are just another customer. Absolutely the best school in Winston Salem! Professional and dedicated staff. Customer service is excellent. Good communication and sense of humor with all levels of experience. Staff is observant and my child responds very well to each of the instructors. The center represents a sense of integrity and accountability that is lost on many today. 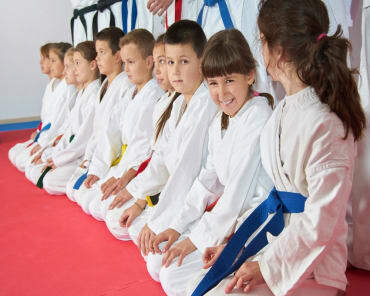 In addition to a great martial arts program, they emphasize teaching valuable life lessons. After being in the system my son has matured greatly.His attitude toward his school work and home life has improved beyond my expectation. I cannot thank the staff there enough. They make you feel like you are apart of the family and the instructors really do care about the well being of their students. Nice adult programs are offered as well. Do yourself, your child, or both a big favor and check them out. My family has been going to Superior Martial Arts for about 6 months. We all love it! It has made such a difference in my three kid’s attitudes and the respect they show to everyone. They try harder in school and listen better at home. The instructors are extremely knowledgeable and take pride in everything they teach. I never imagined I would join Taekwondo classes with my kids, I was always too shy and scared to get out there and try. Once I mentioned that I might be interested, they encouraged me and supported me through my awkward beginner phase and I’m so glad they did! I now look forward to going and love learning alongside my husband and children. Not to mention, it’s a great workout! I’ve lost weight and gained muscle tone that I haven’t seen since before my kids were born! So what would you gain by joining Superior? Respectful kids, positive attitudes, more confidence, better fitness and an amazing group of friends to support you and your family through all of your achievements. What are you waiting for? We really love Superior Martial Arts. Our daughter has tried so many different activities (basketball, t-ball, soccer, gymnastics, dance, swimming), and while she liked a couple of them, we never saw a passion in her eyes. However, when she tried out the Tiny Tigers class with her friend at Superior Martial Arts, she LOVED it. She excelled and showed us a focused side of her that we had not seen yet. When she was invited to be in their leadership class, she was so excited. She gives it her best, and you can see on her face that she wants to succeed. She wants to try out even more of their class offerings. The Superior Martial Arts family is just that, a family. The kids work great together. The teachers are fantastic. They treat our daughter, and us, with respect. We even get to participate in events like gun safety, even though we do not take the classes ourselves. They have parents night outs often, which is a plus for our daughter and us, as we each get to enjoy a few hours doing our own thing. We are watching a change in our child's behavior, and fully believe that Superior is contributing. Thank you! Superior Martial Arts has done a great job with my son. I've noticed a change in his behavior at home and school and he loves coming to class every week! Definitely a great environment with very positive and influential instructors. I highly recommend Superior Martial Arts. My son has been a student there for several months. I have met the instructors and have seen how they have been there to help my son reach all his goals. The instructors are committed to their students. They are compassionate and caring . Nuestros hijos de 8 y 10 años practican varios deportes ,Natación, Soccer y Tenis. Pero sentimos que ya estaban un poco aburridos de estos deportes así que decidimos que intentaran Artes Marciales. Nos quedamos sorprendidos de lo mucho que les gusto y con solo un mes en el programa podemos notar la diferencia. Los instructores saben trabajar muy bien con niños de todas las edades; los hacen reír, trabajar duro y sobre todo disfrutar lo que están haciendo. Nuestro único problema es que mis hijos quieren ir todos los días y algunas veces los papis están cansados! La ventaja es que llegan cansados en la noche y se van a dormir más rápido. Superior nos ha encantado porque nos hacen sentir como en familia, su gente es muy amable y siempre nos quieren ayudar! I've been training with SMA for almost a year and its hard to put into words all the valuable lessons and experiences I've had here. I came in as a girl who simply wanted to learn Krav Maga to learn how to protect herself in this day in age. Today not only do I feel like I learn how to do that a little more each day; I feel like I have learned from the very best instructors any one could ask for. Our instructors are knowledgeable, compassionate and tough when they need to be. From them I have not only learned how to defend myself in a difficult situation but I have learned to be a better and more confident person. I started Krav Maga training for the first time about a month ago and I'm hooked! Even on my first day here, all the students and instructors took the time to introduce themselves and ask me my name. I have had no prior experience with martial arts but still felt comfortable joining Krav Maga because of the awesome instructors here. They not only help you understand the techniques but they push you just right. Classes are geared towards recognizing danger, avoiding it if possible, and dealing with it when necessary and retreating before a dangerous situation escalates even further. Personal safety is stressed, both in-class and on the street, as drills often incorporate scanning the immediate environment, awareness of potential threats, recognizing escape routes, and utilizing everyday objects for possible defensive use. Not only do you learn techniques to defend yourself, but they mix in strength and endurance training to make sure you are in the best shape you can be. Within a few classes you will notice improvement and it only gets more fun with each class. I highly recommend Superior Martial Arts! The instructors are knowledgeable and are willing to help you! This facility is a great place to begin or further your Martial Arts experience.